My cycling wishes for the year ahead. Slightly belated and optimistic but some of these things could happen. 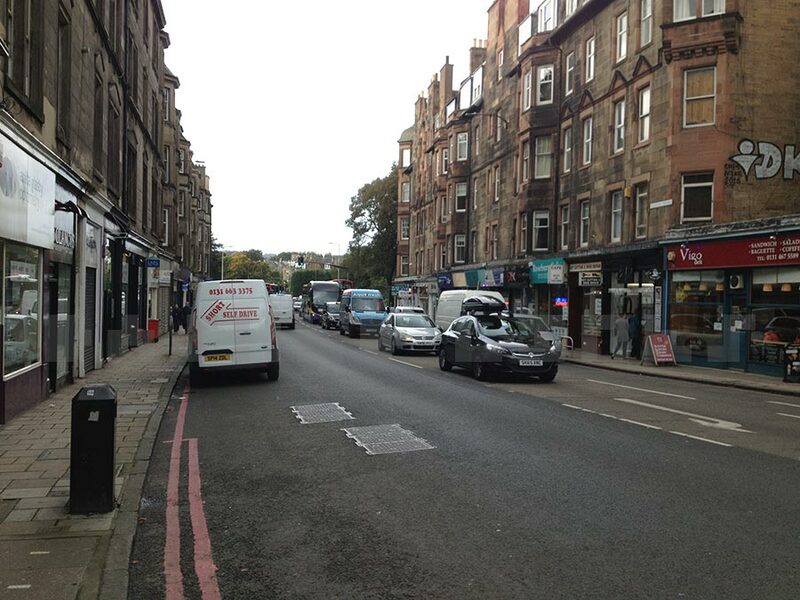 I want to see more protected lanes actually being built in Scottish cities. These make cycling much safer, more relaxed and encourage less confident riders to get back into it. They’re also an example to towns – especially ones which let us down in 2016. You know who you are Ayr and Perth (I discovered they’re both the same size – another reason I’m not buying the ‘city of Perth’ stuff)! Glasgow’s next main route is the South City Way on Victoria Road (which won the Sustrans Community Links Plus prize last year). The single lanes on each side of the road make it much closer to ‘Copenhagen style’ than the council’s previous routes. Hopefully the lanes will work even without bollards to keep other vehicles out. Widening the pavement for people on foot also widens the appeal of the scheme. It won’t be finished until 2018 so I hope the disruption doesn’t turn people off. In this year’s CLPlus, Glasgow has re-entered Woodside ‘Mini Holland’. Routes would link areas on the north edge of the city centre. They include the canal/Port Dundas, St George’s Road, the planned ‘avenue’ shared path on Sauchiehall Street and the rebuilt (and rebranded) Sighthill ‘Cycling Village’. Not sure how the whole thing will work but I hope it does. Only plans I’ve seen so far seem to be colourful dashed lines (I stick to black and white ones on here). In the East End, the delayed bridge linking the Games athletes village to Cuningar Park just finished in 2016. I hope they connect it to the Clyde Walkway path but the fences look permanent. I think that’s almost it, as far as ‘Legacy’ goes – the big empty plots on Dalmarnock Rd/Springfield Rd seem to be staying. 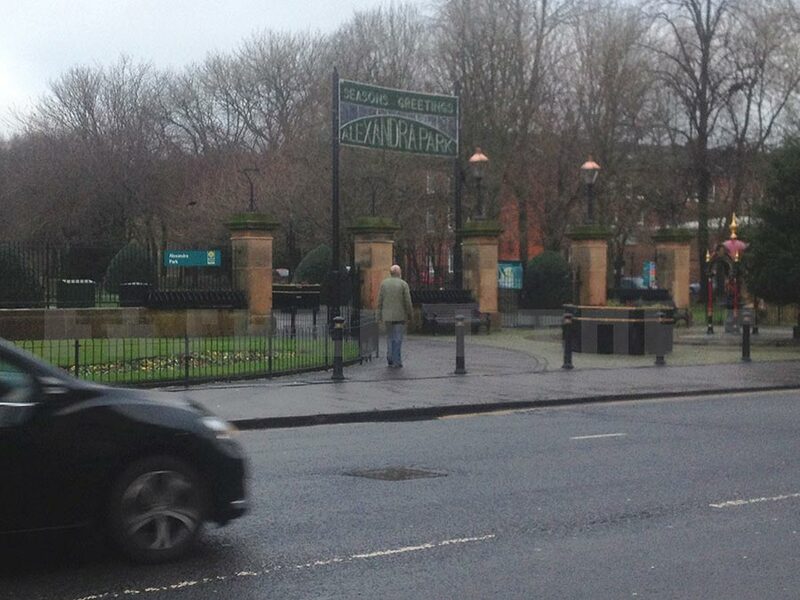 A dual carriageway will bury Hogarth Park in a few years (phase 3 of ‘Clyde Gateway’/EERR). Who knows when we might get an East City Way…? Edinburgh’s ‘family friendly’ East-West route is decided after the council finally approved the direct option through Roseburn. Edinburgh’s other entries in the Community Links Plus competition are West Edinburgh Active Travel Network (Edinburgh Park/Gyle) and the Meadows to George Street (Places for People). I couldn’t find out much about these two so maybe they’re only there to get the £10k for drawing up plans. Aberdeen’s councillors are talking about changing the Bridge of Dee from a dual carriageway to being walking and cycling only. This is Scotland’s ‘oil capital’ so there is a catch – it’s building a new 6-lane road bridge alongside it (according to SNP councillors). The City and Shire™ also have the Westhill A944 Cycle Route in the CLPlus competition (maybe to balance out the AWPR bypass?). Dundee is all about the waterfront (apparently there’s a wee art gallery opening there!). Hopefully its new paths will encourage cycling but the dual carriageways (and lifts on bridges) could still be barriers. Inverness’s planned City Active Travel Network is on the list for Community Links Plus. Hopefully that sways people who want a ‘car friendly’ city centre. Credit to Elgin, Irvine, Stirling and Dargavel (Renfrewshire) for also making the list. It gets cut down to a shortlist of five (who get £40k towards more detailed plans). The main prize is over £3m for one or two projects but fingers crossed that all of these plans get funded. I hope none are knocked off course by the result of local elections in May. A Glasgow equivalent of Pedal on Parliament would help galvanise support for cycling infrastructure in the west of Scotland. ‘Feeder’ rides from surrounding council areas could draw in more people and spread the message. There was a large turnout for the protest at the decision to stop the Bear’s Way. I think a city centre protest would do even better. Aberdeen already has its version and I think other cities could too. I’d like to see plans to make better walking and cycling routes to link into parks and green spaces. This came from my own experience of starting back cycling – at first, I’d walk my bike to the park. Also, my downstairs neighbours have young children and are concerned about how busy the roads are around our neighbourhood. I was at an event where the idea of ‘green corridors’ leading to parks came up from one of the ‘Friends of…’ groups. Glasgow City Council are due to have a consultation on parks and green space so hopefully this point will be taken on board. It may not be on the cards elsewhere but there are plenty of towns who have room for improvement in connecting parks with neighbourhoods and town centres. 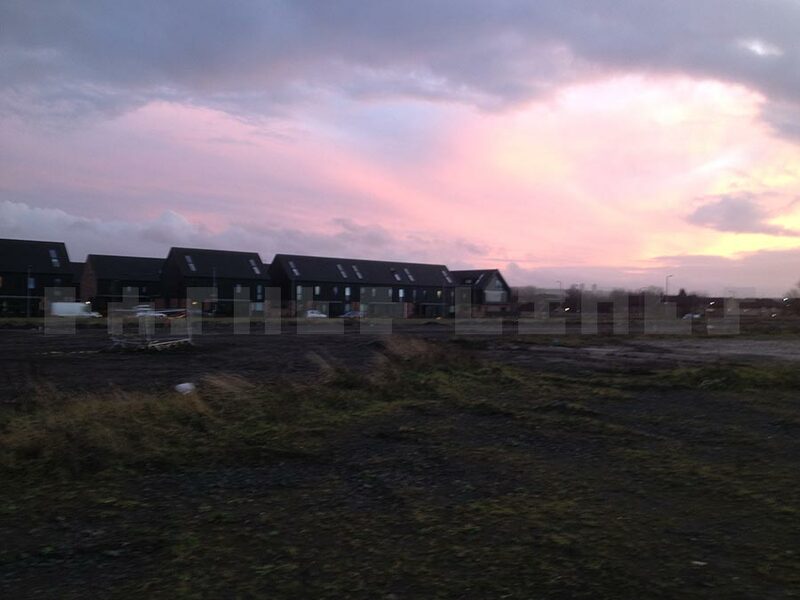 Wishaw keeps Belhaven Park hidden from its main street by a vacant plot and fences. Hamilton only has decent access to Strathclyde Park from a steep hill or a river path that floods. From the town centre it’s an assault course of busy dual carriageways, roundabouts, car parks and narrow shared pavements. Recent changes have merged community NHS services with council Social Care depts into Health & Social Care Partnerships. It would be great if they invested in decent cycling infrastructure. Some Health Boards have a few officers to encourage walking but very little seems to happen with cycling. Since most staff drive, awareness is pretty low. Very few hospital sites have proper links to cycle paths (I can only think of Irvine or Livingston). Cycling to the Southern/Queen Elizabeth Uni Hospital in Glasgow has been driven by lack of car parking, not good cycle infrastructure. 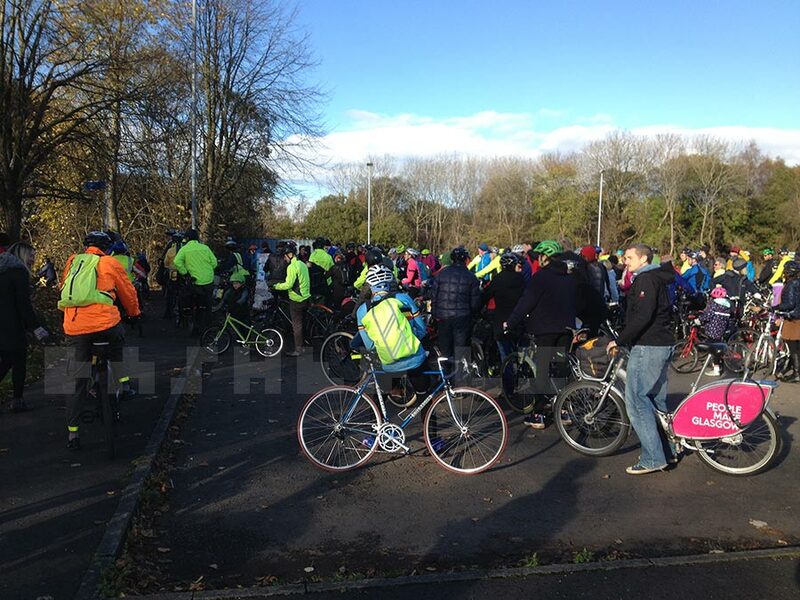 Gartnavel General is easier to cycle to but could have better links to Hughenden and Hyndland. 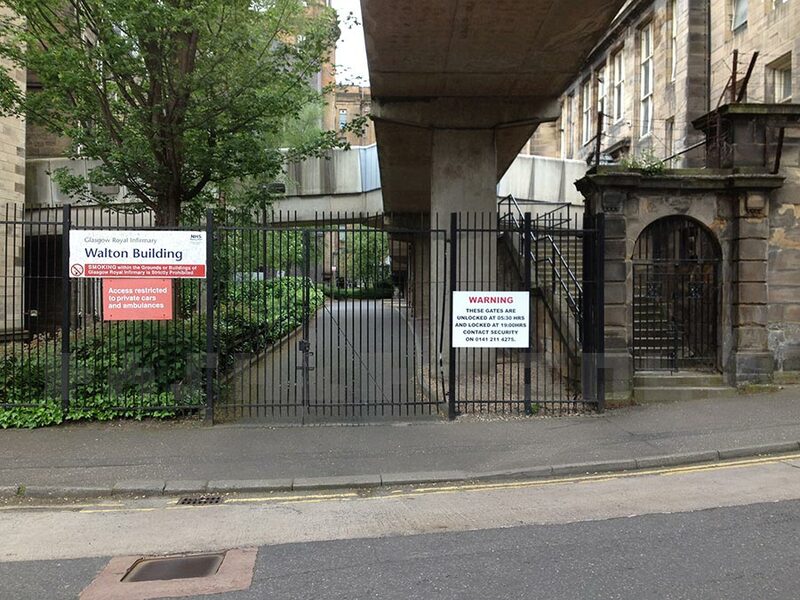 This is an East Ender’s cycling wishlist, so it has to include Glasgow Royal Infirmary. GRI blocks the ‘desire line’ between Alexandra Parade and the city centre. If it had a few less extensions between buildings there might have been an easy way through the site. That would cut out the hill, the ‘pinch point’ at the Maternity Unit entrance and the traffic lights at Castle St. There’s almost a way through from Wishart St and Warnock St. It’s similar with the access road from Cathedral Precinct but less likely to get a ramp there with headstones nearby. Vulnerable road users instinctively pay more attention, it’s only natural, vulnerability hones the senses. Vehicle drivers cocooned in their protective shells do the exact opposite, they pay less and less attention, to both other road users and road laws. Okay, they’re generalising but there’s truth to it – I’ve never heard any official body nail an insight like that. It goes against the grain of so many drivers being let off the hook when they’ve injured or killed cyclists. WMP plan to share their experience with other forces – I hope Police Scotland and the Scottish courts will listen. Lastly, a personal one – the hardy perennial of getting out more. If I only count actual conversations I might not be doing too bad on this one. Include writing and following blogs, etc. and I’m probably not doing so well. I’m never out as much in the winter so hopefully this one improves as the seasons go on. All this is about city dwellers. What about the many people who live in the Scottish countryside? All we’ve got usually is one, usually narrow, road to a destination and the same one back. My guess is that the city cyclist will prioritise the desires of city cyclists in the same way that councils prioritise car drivers. We don’t even get footpaths to walk on, let alone cycle along. 1- I live in one. 2- Only cities seem to be able to sustain cycling infrastructure. As I wrote, Ayr and Perth tore theirs out so anywhere smaller will struggle. People arguing for protected bike lanes in cities are being realistic. Comparing us to councils who don’t get the case for cycling is way off the mark. If you don’t like the focus on cities then tell me when I can read your blog about rural issues (is it on WordPress.com)?